TeXWorks editor or run as a stand alone. certain information can speedily be pre-loaded. they have a local search facility on the wording ot the hyper links. 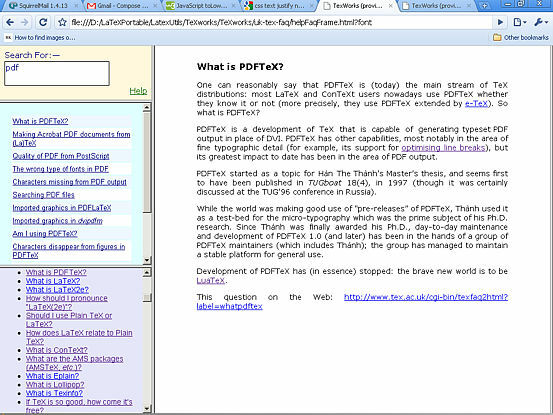 of this help project (<texworks binary folder>/uk-tex-faq/html/).